2. 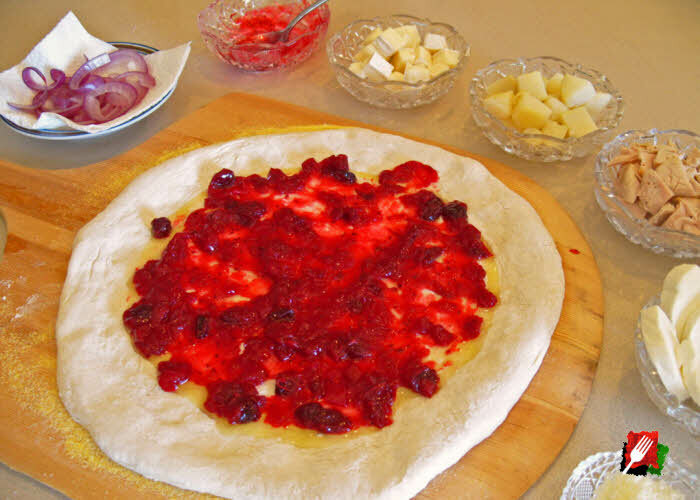 Add the cranberry sauce to the middle of the pizza shell. 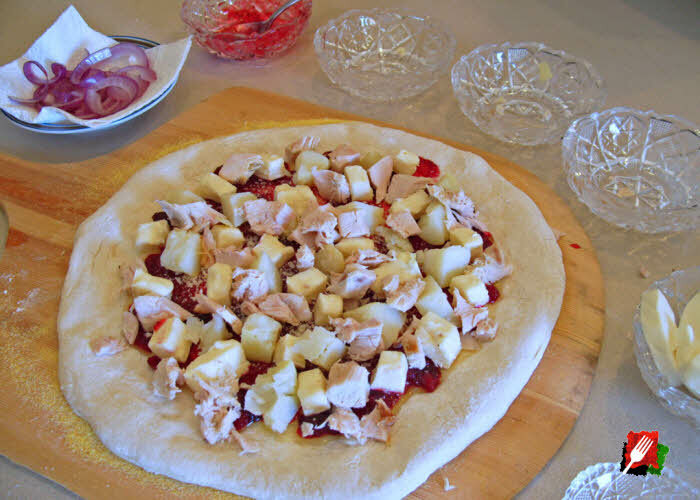 In a circular motion with a spoon, spread the sauce out evenly over the pizza dough, making sure to leave the edge untouched. 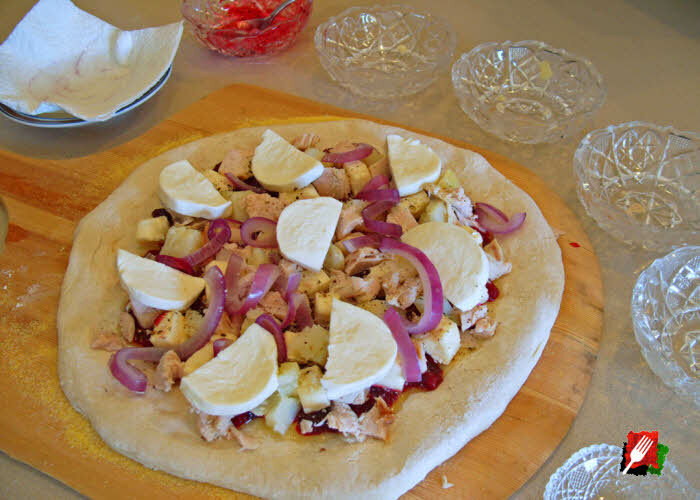 Evenly sprinkle grated Parmesan Reggiano over the cranberry sauce, then top with chopped brie cheese pieces. 3. 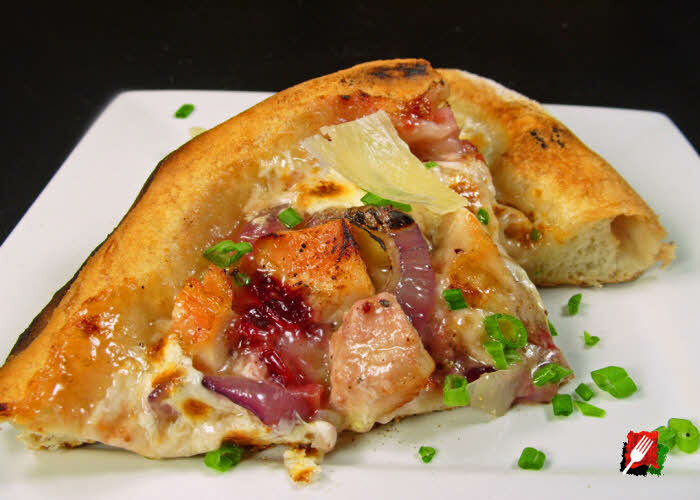 Evenly add potato, turkey breast pieces, and caramelized onions over the cranberry sauce and brie cheese. 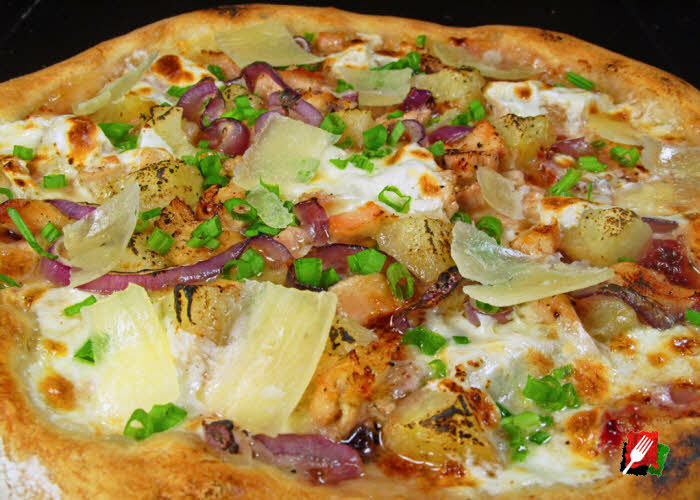 Top with fresh mozzarella. 4. 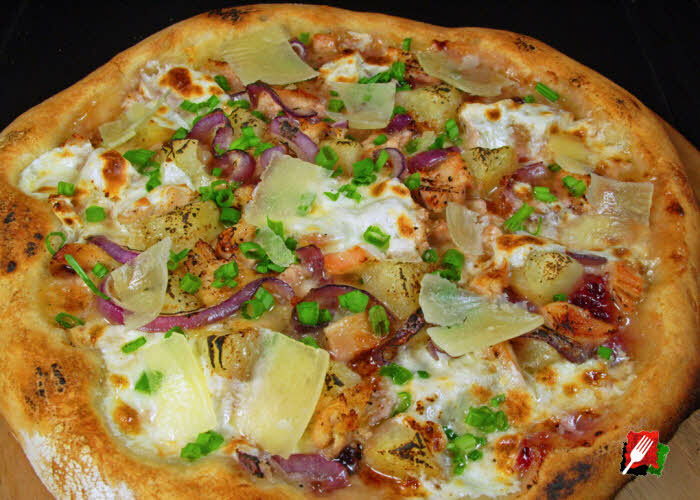 After baking, top with chopped green onions and shaved Parmesan Reggiano.